The Covenant Place Townhouse, built by Habitat for Humanity of the Greater Chattanooga Area, is a triplex located in Chattanooga, Tennessee. The TightLines design was dedicated during the summer of 2012. This beautiful structure is now home to Telisha McKinney and family, the refuge family of Jean Hitimana and Bahiti Magdalene, and Ashley Lee and family. An area in the stretch of common property beside the townhouse has been planned for a swing set and place for children to play. 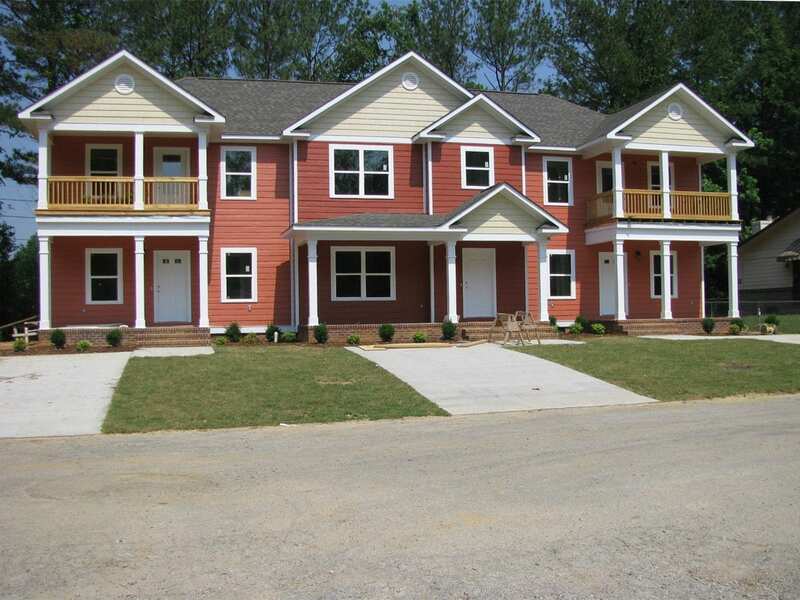 Although this is the first townhouse the Chattanooga Habitat affiliate has built, it will likely not be the last. Future Habitat homeowners have been most impressed with the room layout, the use of space and the front and back porches that lend themselves to private yet community living. The townhouse design has filled a unique void in the marketplace. As land becomes more expensive and difficult to acquire, it is likely this type of design will only increase in popularity– for both non-profit and for-profit developers. 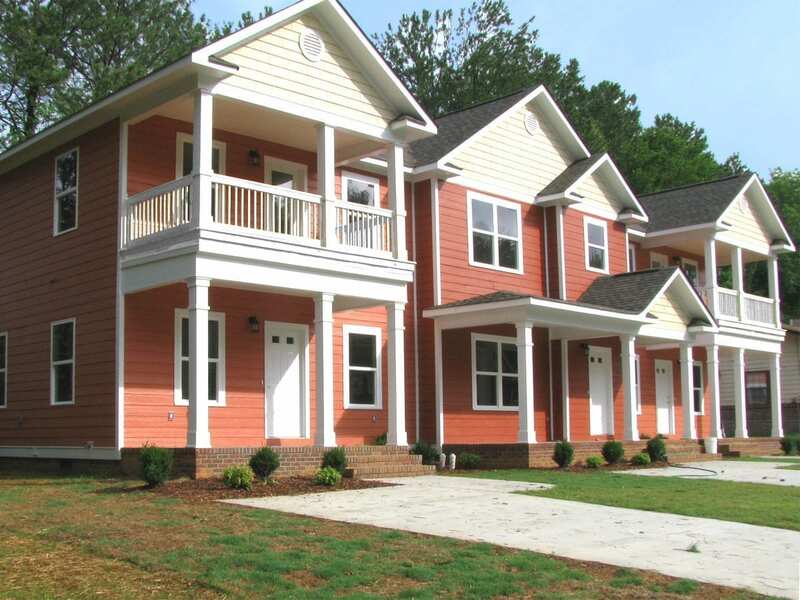 Requests for multi-family designs such as this one have increased dramatically in recent months, and the TightLines team is working on several new prototypes. We can help clients by providing pre-designed plans or custom designs.